As we know, Christmas decorations are always colorful. 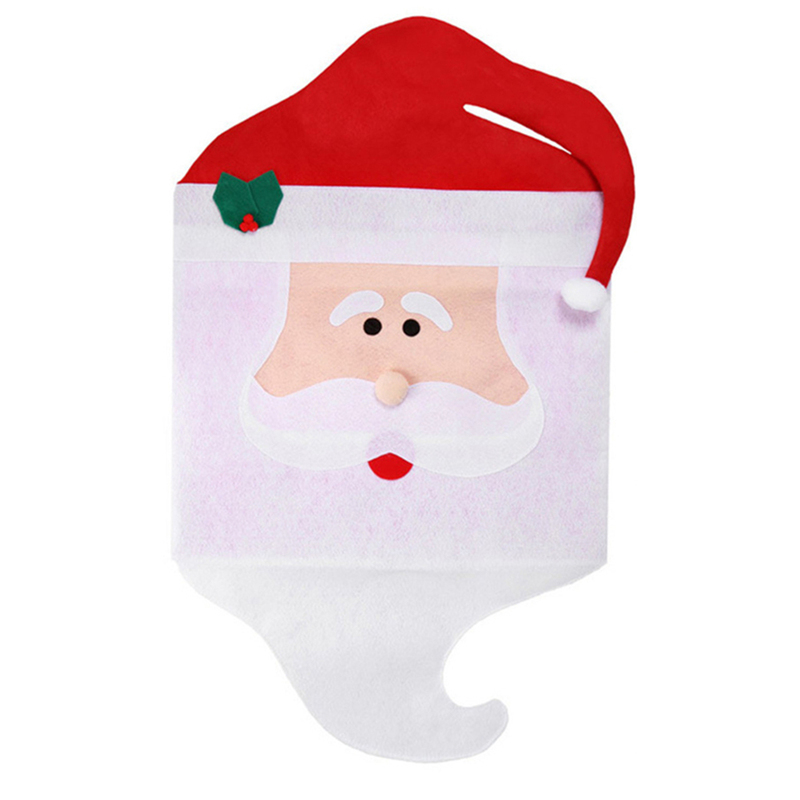 So give your house a new feeling about Christmas Day! 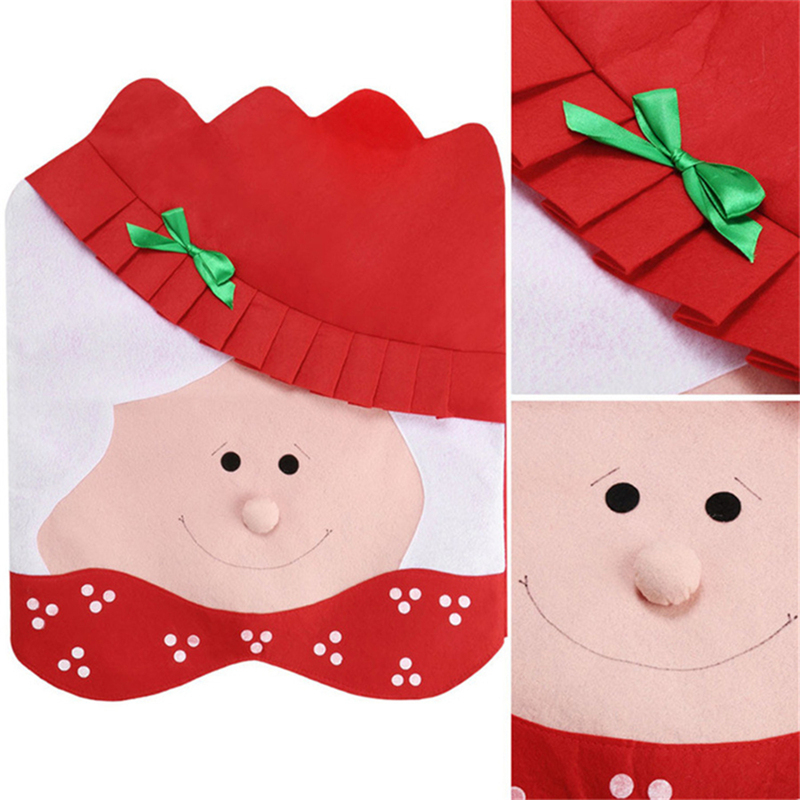 You need to create a new style for your children so as to let them remember the great days. 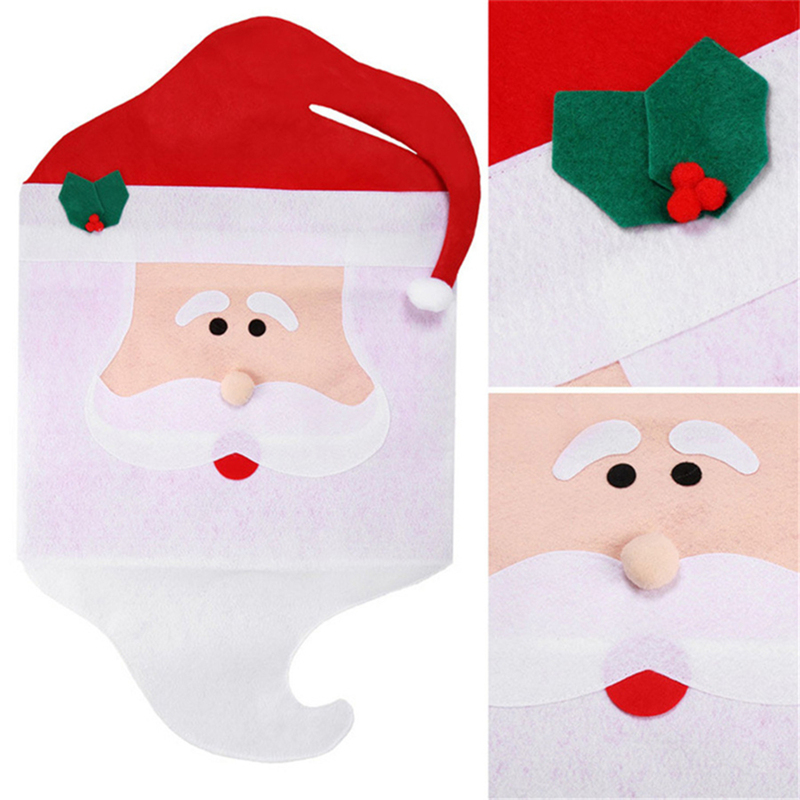 And Christmas decorations like Christmas Chair Back Cover can help you do this job. 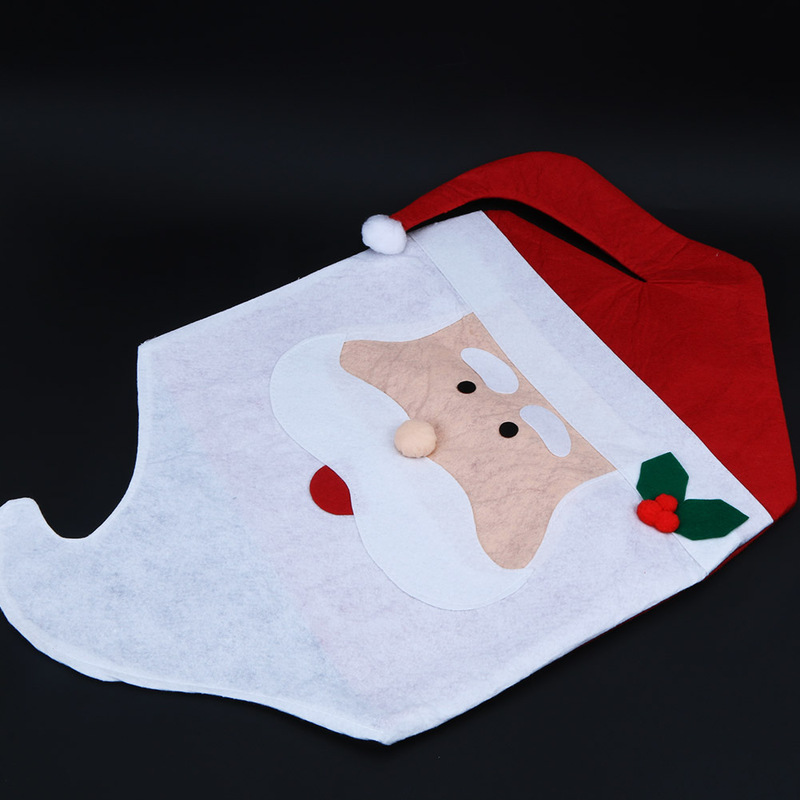 Soft & Durable & Eco- Friendly Material - High-quality non-woven fabrics softness is moderate; it's super comfy to lean on. 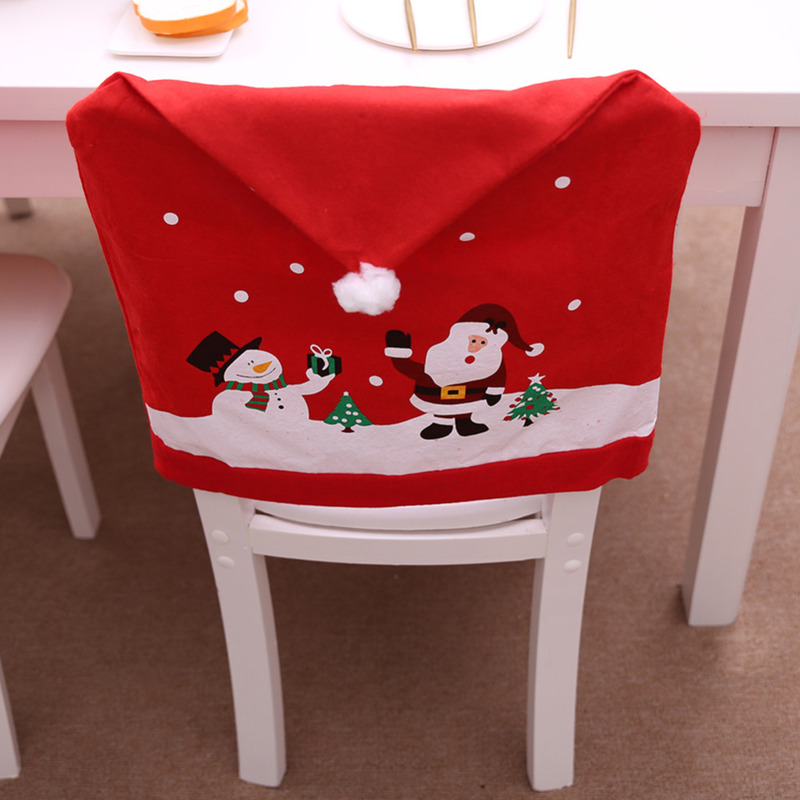 The chair covers are durable, can be used repeatedly. 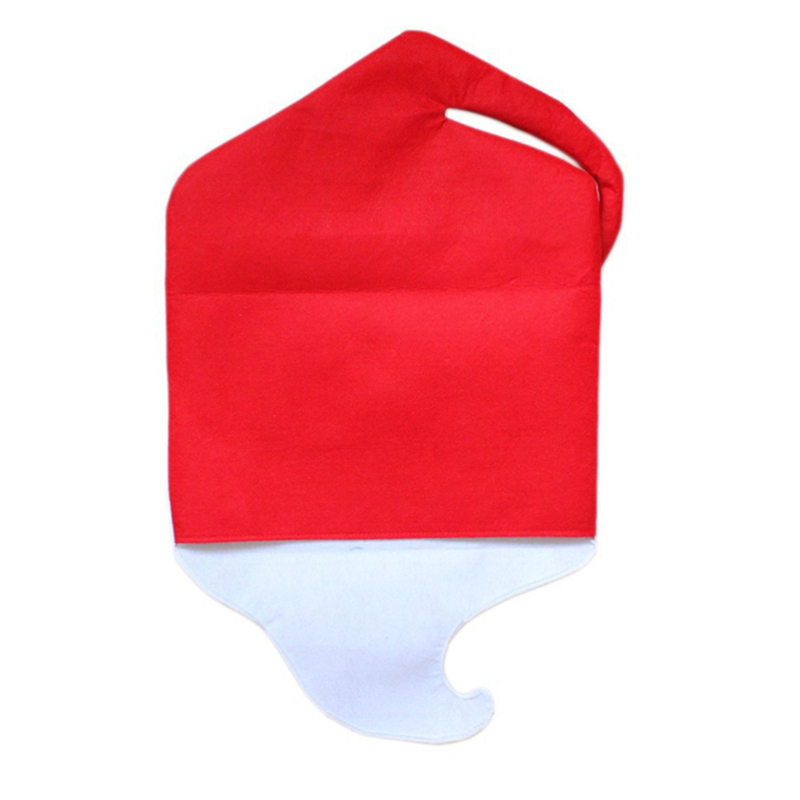 And they are also eco-friendly, non-toxic and no irritant. 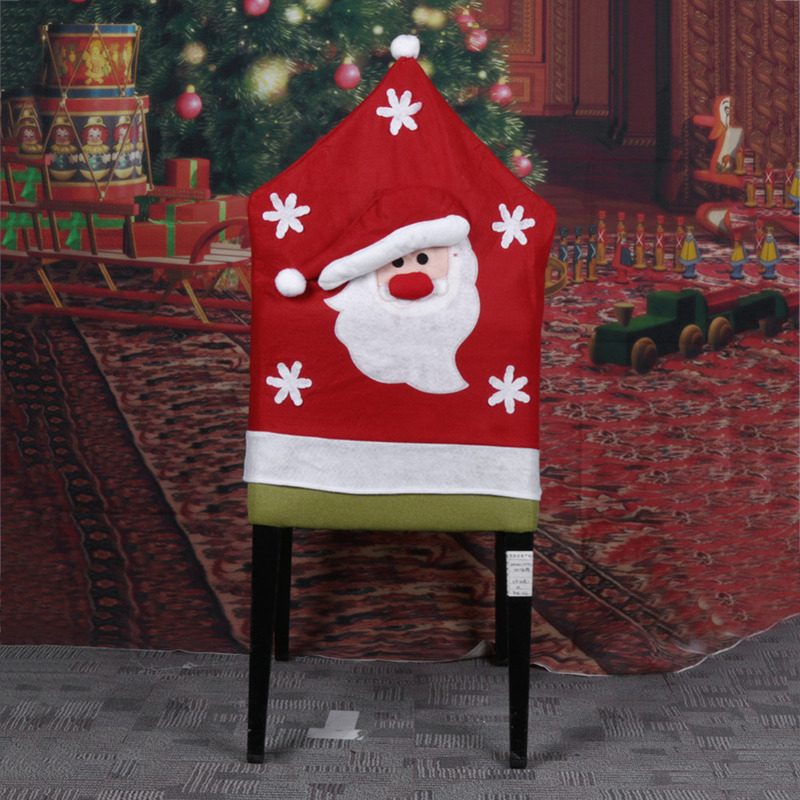 Festival Ambience Increased - This Christmas chair covers directly cover on the chairs, a quick and easy way to dress up your house. 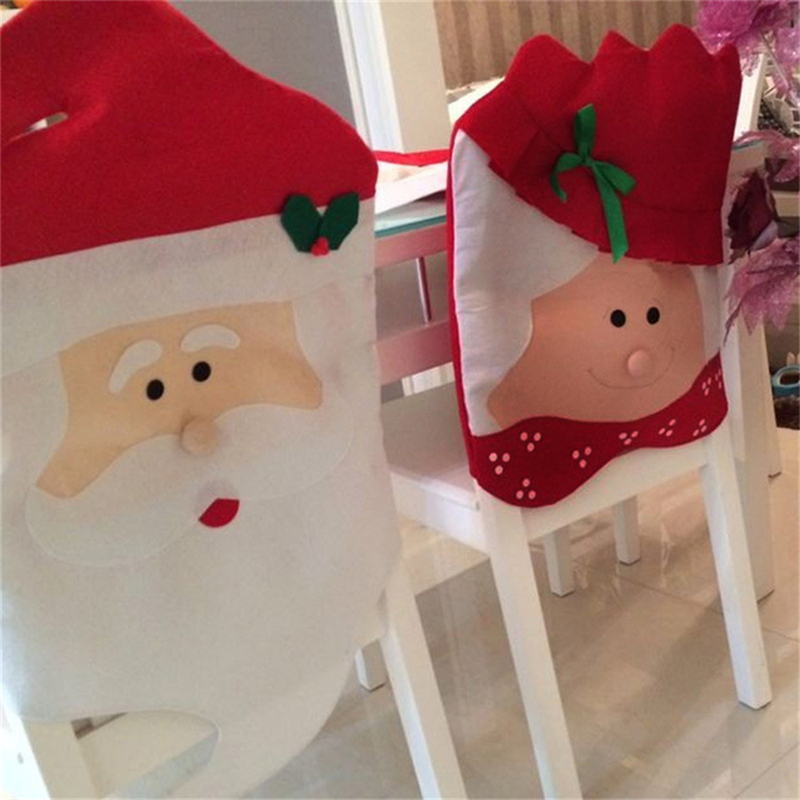 Transforms your home for the Christmas. 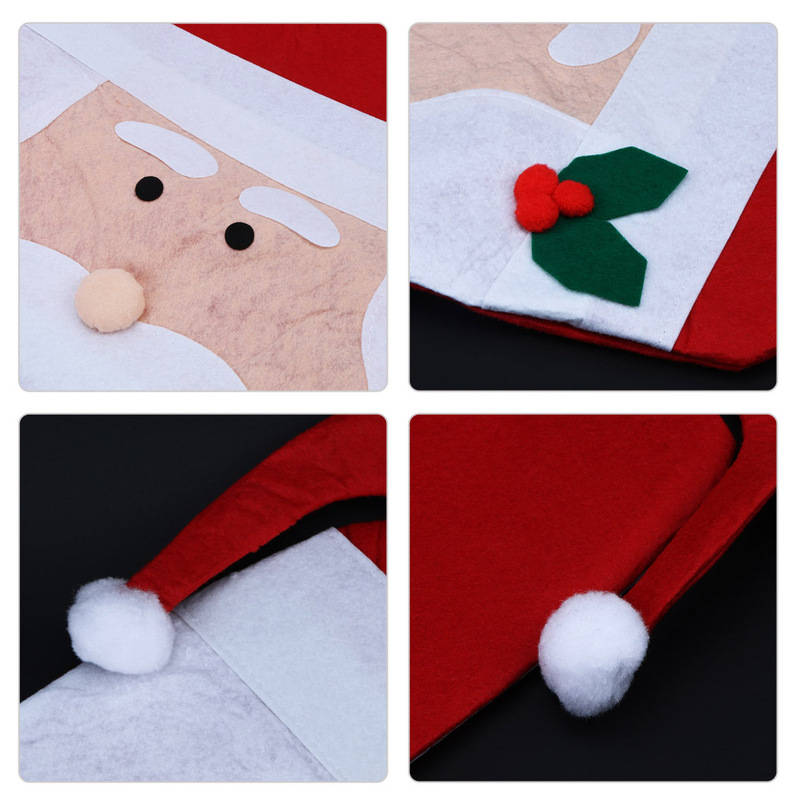 Rich Christmas atmosphere, make the holidays more wonderful and warmer. The Size Fits Most Chairs - Each size approx. 50 x 60 cm / 19.7 x 23.6 inch. 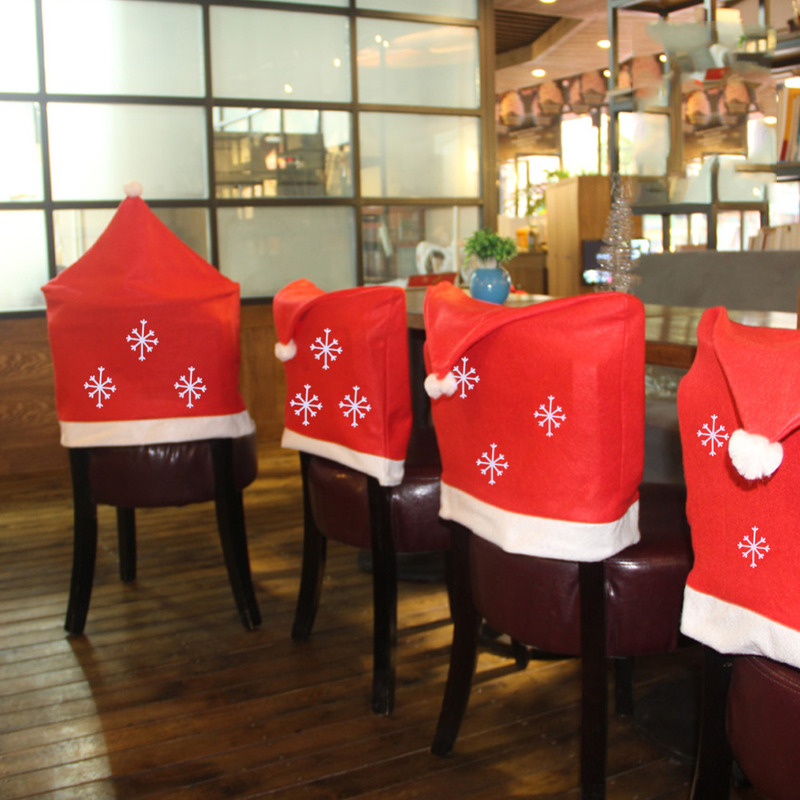 Dinner decor Santa hat chair covers, fit most of the chairs. 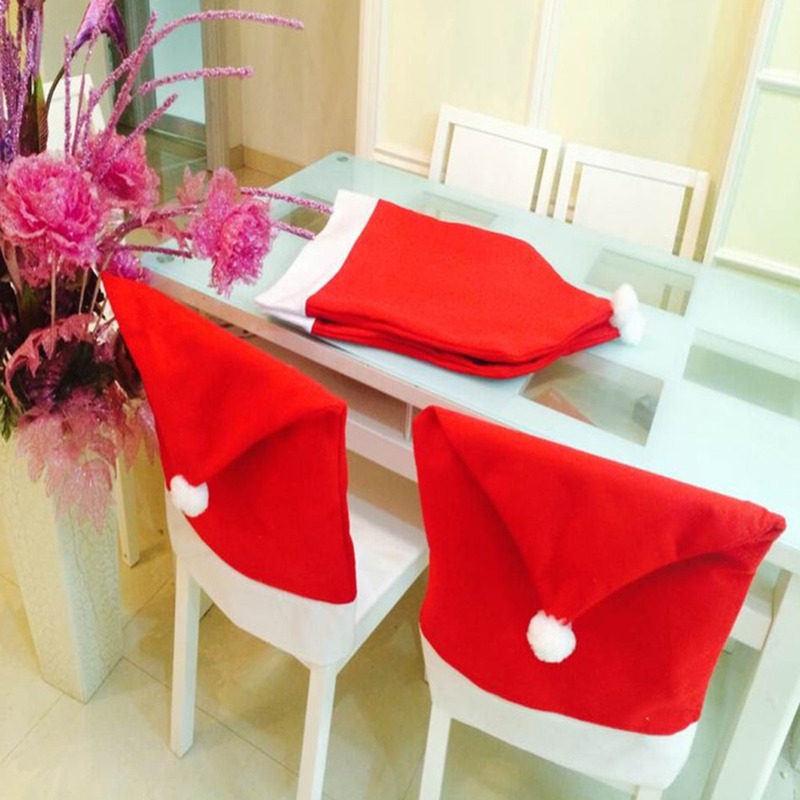 Christmas Essentials Decor - The red chair covers add the charm to Christmas decor, make table looks divine. 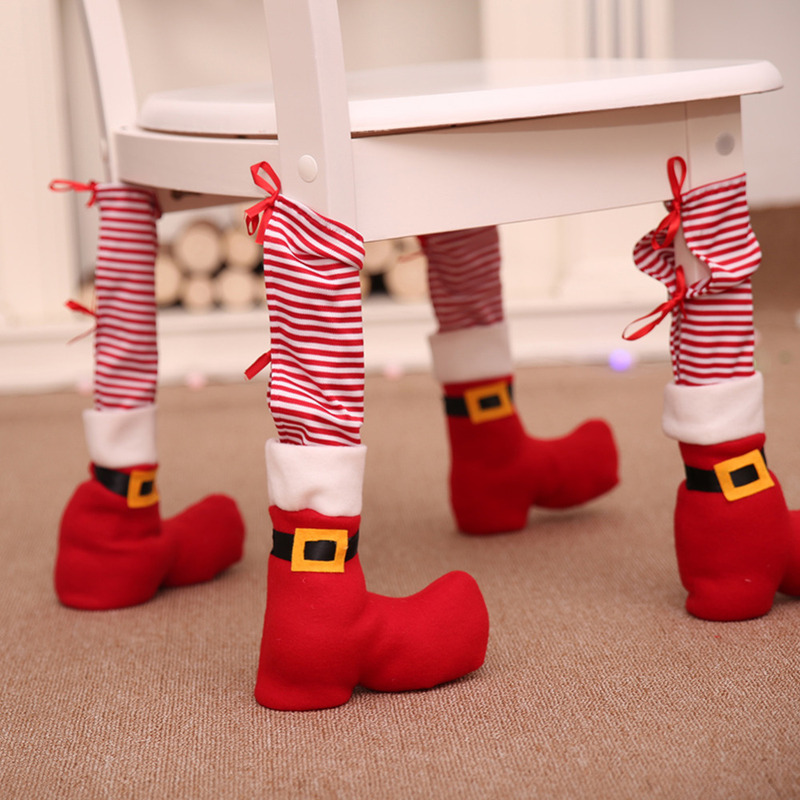 A lot of fun on dining room chairs for Christmas. 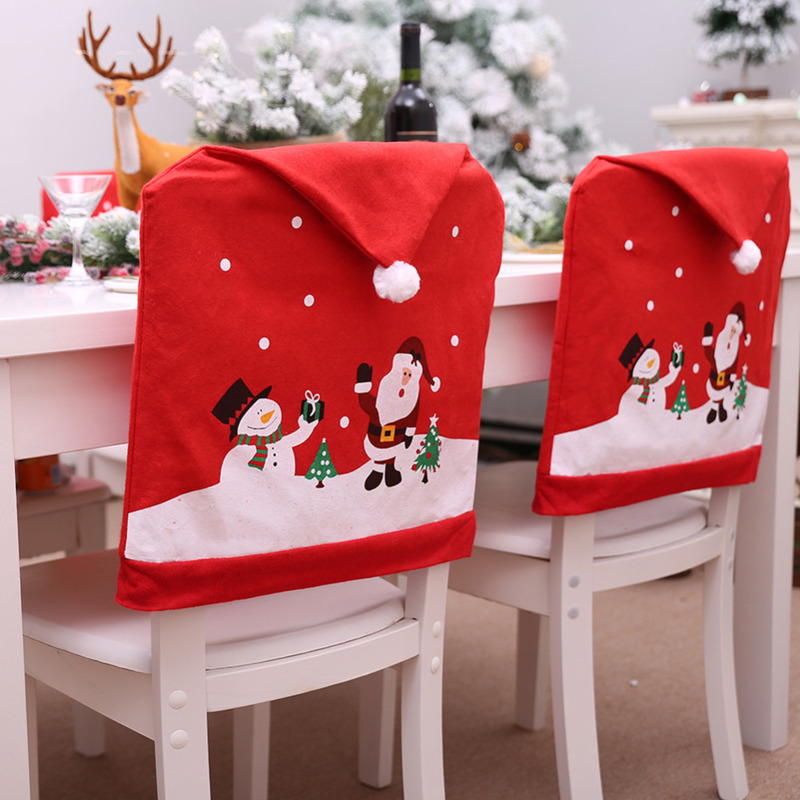 A great way to make Christmas dinner much merrier! 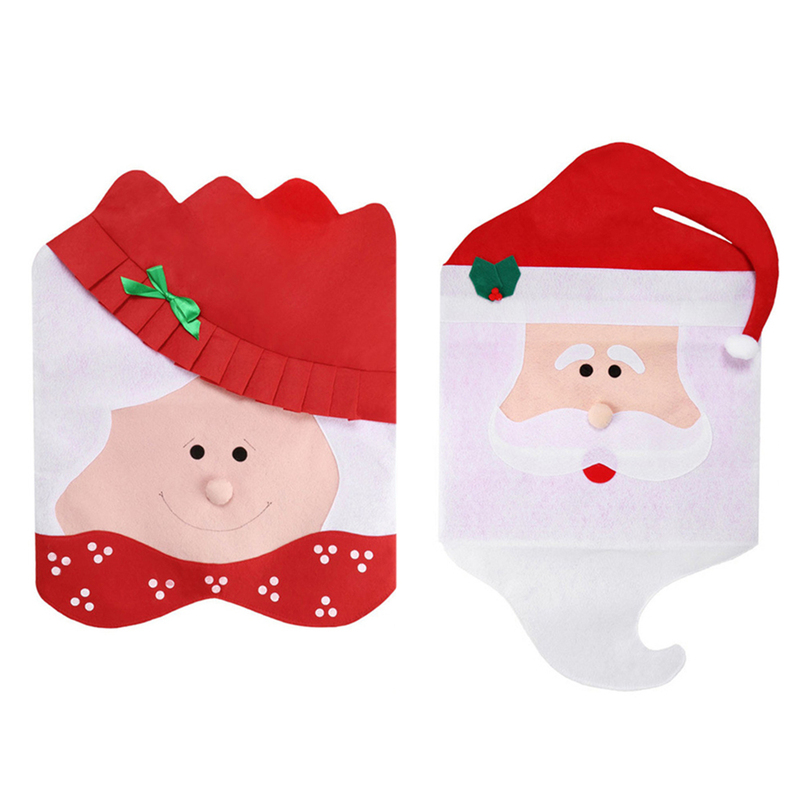 Santa Claus Size: 44cm/17.32"X 74cm/29.13"
Mrs. Claus Size: 44cm/17.32"X 54cm/21.26"